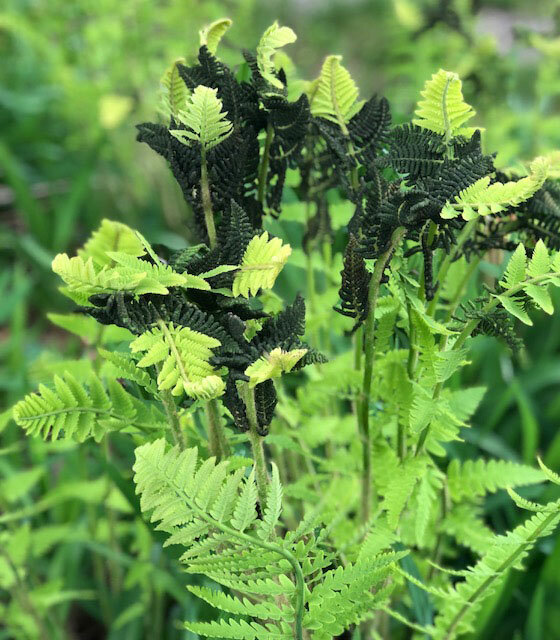 Fiddlehead Ferns Unfurling: My spring garden explodes in 50 shades of green. I’ve spent the past week relocating our household to our summer home in Polk County, Wisconsin that we call Northern Bliss. Sailors forever, Gunter and I must have the serenity of water close by. We enjoy the change of pace from our city life in San Diego. There is another lake every four miles in our county, so we never lack the color of water. But after eight years sailing around the world, we also crave the color green. I agree with John Burroughs, who said, “I go to nature to be soothed and healed and to have my senses put in order.” While the green palette soothes my soul, the song of newly-arrived finches tickles my ears, the feel of warm soil running through my fingers connects me to the earth, and the heavenly scent of budding flowers brings me peace. I wet my lips and taste the freshness of the country breeze rustling through the treetops. What happens to your body in the presence of green? Your pituitary gland is stimulated. Your muscles become more relaxed, and your blood histamine levels increase. That leads to a decrease in allergy symptoms and dilated blood vessels. 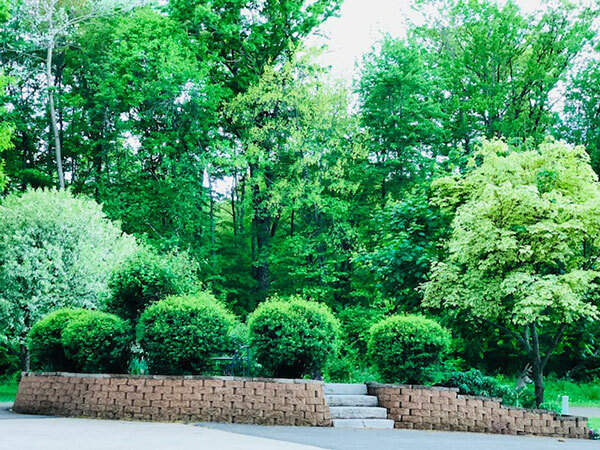 In other words, green is calming and stress-relieving, yet invigorating at the same time. The color green has been shown to improve reading ability and creativity. Aha! I’ve been gardening my first week here, exposed to all that green. Now that my creativity is back, I can get back to writing again. Before I continue the Uzbekistan travel series, I want to take you to my environment here. The days are getting longer. Sunrise was at 5:27 this morning and sunset will be at 8:48. On June 21, the summer solstice, first light will occur at 4:43 a.m. with sunrise at 5:21. Sunset will be at 9:02 with last light at 9:40. Plants love all that light so spring growth is intensive. I can almost see those ferns in my garden unfurling their delicate fronds. 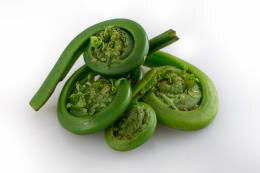 Did you know that fiddlehead greens are harvested as a vegetable? The fiddlehead fern fronds must still be tightly furled. Martha Stewart even has a recipe for them! . Reportedly, they taste grassy (of course) but with a hint of nuttiness. Hmm. Many people say they taste like a cross between asparagus and young spinach. Some detect a bit of mushroom. Watch out for those if they’re growing nearby. Also keep this in mind: Fiddleheads can cause symptoms of food-borne illness if eaten raw or improperly cooked. Be careful. Have a wonderful and inspiring spring! About the Author: Lois and Günter Hofmann lived their dream by having a 43-foot ocean-going catamaran built for them in the south of France and sailing around the world. Learn more about their travel adventures by reading this nautical adventure trilogy, now on sale at a reduced price for a limited time through Father’s Day.